The number of searches for property in South Africa increased by more than 25 per cent during July, according to one overseas property site. Rightmoveoverseas.co.uk said that during this month, there was a 26 per cent increase in the number of searches for property in the country, following an increase of 22 per cent in June. 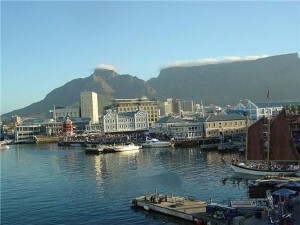 Commenting on the figures, head of overseas at the website Robin Wilson said that South Africa has benefited from a general boost in consumer confidence in buying property overseas - a venture which may see annual travel insurance a wise investment to ensure that frequent trips to the property are covered. He noted that for Brits, South Africa offers "some of the most spectacular natural environments in the Southern Hemisphere with great weather, but also boasts widely spoken English and a jetlag-free time zone." Figures from the First National Bank house price index published earlier this month showed that the property market in South Africa looks like it is stabilising. Published by World First Travel Insurance - providers of worldwide travel insurance for all types of holiday, backpacker travel insurance and great family travel insurance. Get in touch for a competitive travel insurance quote today.